The Evolution 96T raises the bar for temperature control with our Perfect Heat functions and saves significantly on heating costs with exceptional energy efficiency of up to 96.5% AFUE. 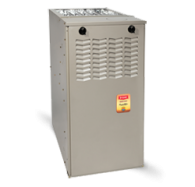 Bringing home energy-wise comfort is now easier than ever with our Evolution 80 Gas Furnace and simplified system control. An AFUE rating of up to 80% pays off in higher efficiency for lower energy bills and more affordable total home comfort. What incredible service we received from Pearce Home Comfort! Thanks so much for the quick turn around on our furnace repair. I thought the family would be without heat for the entire long weekend. You went above and beyond to ensure we were taken care of and warm. Exceptional experience. Thanks again Jeff! You have a "Home Comfort" client for life. The new air conditioning unit is a winner. Thanks for giving us the 411 on the reasons our older, larger air conditioner was not the best option for our home. This new one is quieter and seems to cool the house without as many issues as the old one. Have you on speed-dial now so Pearce can give us a furnace tune-up this fall as well. 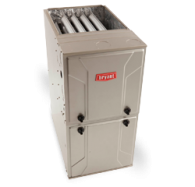 Highly recommended for furnace and air conditioner repair and service. Big Thumbs Up for the work you did on our attic ventilation and new heat pump. This past winter was the first in a while where we did not feel the chill. Our utility bills have also been reduced so a double win for us. Great team that did the work as well; clean, professional and on-time as well as budget. Thanks again for a job well done.